TABLA is an Indian percussion drums . It is used as a Classical , Folk and light music . 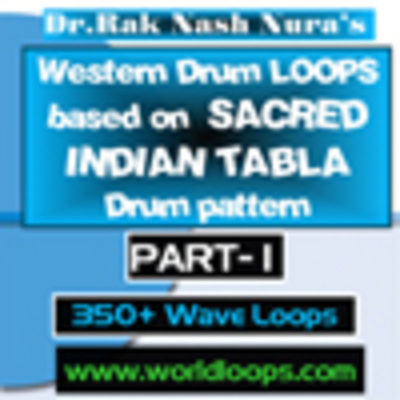 The patterns are extensive and confusing to western drummers . We did a research in the patterns and we tried our best to bring the patterns in a western music drum sequence . It looked very different in western percussion instruments but we maintained the pattern . We in world loops have created over 1160 loops . We are publishing the loops in 4 full packs in 4 different varieties. Created by https://www.tradebit.com Nash Nura and his percussion team. Copyright https://www.tradebit.com Nash Nura of WOLD LOOPS.